Professor Emeritus John Casida made key contributions to understanding the chemistry, metabolism and toxicology of many classes of pesticides still in use today. Jane Scherr photo, 1993. John Casida, one of the world’s leading authorities on how pesticides work and how they can potentially harm humans, died of a heart attack in his sleep on June 30 in Berkeley, California. He was 88. A professor emeritus of environmental science, policy and management and of nutritional sciences and toxicology at the University of California, Berkeley, Casida was the founding director of the campus’s Environmental Chemistry and Toxicology Laboratory. Casida’s interest in bug collecting as a teenager eventually led him to investigate how DDT and other synthetic pesticides introduced in the 1940s affected insects, and over the course of his 70-year career he made important discoveries in the fields of pesticide biochemistry and toxicology. His research on natural and synthetic pesticides laid the groundwork for the development of more selective and safer compounds. Casida made key contributions to understanding the chemistry, metabolism and toxicology of many classes of pesticides still in use today, including organophosphate, carbamate, pyrethroid, neonicotinoid and ryanoid compounds. Among his discoveries was that ryanoid and cyclodiene insecticides disrupt specific ion channels – the calcium and gamma amino butyric acid or GABA channels – which opened up new avenues of research to identify other compounds that interact with GABA receptors. His work helped to understand not only how pesticides kill insects, but also how they are metabolized by other animals, including humans, and their fate in the environment. Casida and his UC Berkeley colleagues were able to formulate new compounds that were more active and less long-lasting than chemicals used widely in farming at the time. John Edward Casida was born Dec. 22, 1929, in Phoenix, Arizona, one of three children of Lester Earl Casida and Ruth Barnes. At the time, his father was the sole teacher in a one-room schoolhouse, though he went on to complete his Ph.D. and become a professor of animal science at the University of Wisconsin in Madison. Casida attended the same university, earning a B.S. in entomology in 1951, an M.S. in biochemistry in 1952 and a Ph.D. in entomology, biochemistry and plant physiology in 1954. His education was interrupted in 1953 by service as a medical entomologist with the U.S. Air Force Atomic, Biological and Chemical Warfare program, where he pursued research on various toxic compounds. Upon graduation, he joined his father on the University of Wisconsin faculty, though in the Department of Entomology, where he directed the Pesticide Chemistry and Toxicology Laboratory. He was promoted to full professor in 1961. In 1964, Casida joined UC Berkeley’s entomology department, which is now part of the Department of Environmental Science, Policy and Management, and held the William Muriece Hoskins Chair in Chemical and Molecular Entomology from 1996 to 2011. In 2014, he stepped down from teaching but continued his research and mentoring as a professor in the graduate school. Over his career, he discovered how organophosphate, methylcarbamate and pyrethroid insecticides are metabolized in insects to kill them, while mammals metabolize them differently and are unaffected. Later, however, he discovered other toxicological mechanisms through which organophosphorus pesticides and environmental contaminants can cause harm to mammals by binding to and inhibiting enzymes important in the brain. He found, for example, that the botanical insecticide ryanodine blocks an ion channel for calcium, now known as the ryanodine receptor, important in every aspect of neuron and muscle cell function. He also pioneered chemical probes that allowed investigation of the functions of important chloride ion channels, such as the GABA-gated chloride channels, in the brain. He made key critical insights into how neonicotinoid insecticides, still widely in use today, confer selective toxicity towards insects compared to mammals. These studies yielded insights into the function of the nicotinic acetylcholine receptor, a receptor in the brain and muscles important in neurotransmission, memory and movement. In a 2000 paper, he reported that a major component of absinthe, alpha-thujone, activates GABA-gated chloride channels, possibly accounting for the fits and hallucinations attributed to the liquor in the 1800s. The co-author of more than 850 publications and 31 patents in the field of pesticide toxicology, Casida trained more than 230 scientists who now occupy leading positions in industry, government and academia across the world. He was elected to the U.S. National Academy of Sciences in 1991 and to the Royal Society in 1998. He won numerous awards for his work, including the first International Award for Research in Pesticide Chemistry in 1971, the 1978 Spencer Award for Research in Agricultural and Food Chemistry by the American Chemical Society, the 1988 Distinguished Service Award for Research by the USDA, the 1989 J.E. Bussart Award and Fellow of the Entomological Society of America and the 1995 Koro-Sho Prize from the Pesticide Science Society of Japan. 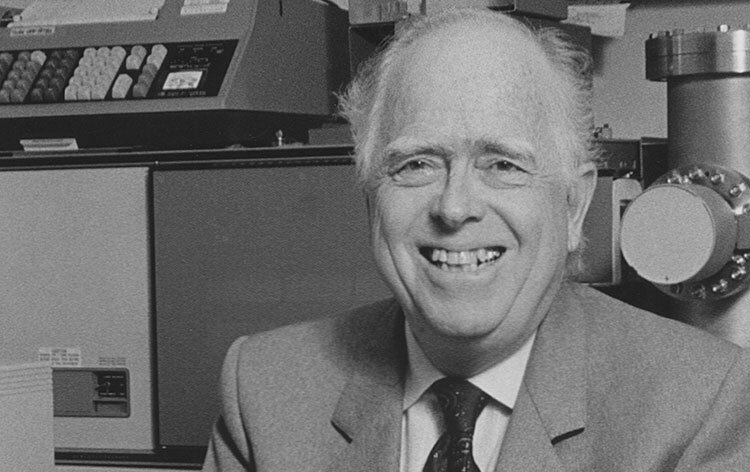 “He was an inspiration and role model not just because he came in early and stayed late, but because he did science for the fun of discovery and taught for the joy of teaching,” said former student Bruce Hammock, now the Distinguished Professor of Entomology and Comprehensive Cancer Center at UC Davis. Casida is survived by his wife, artist and sculptor Kati Casida, sons Mark and Eric Casida and two grandchildren. In lieu of flowers, the family requests that contributions be made in John's memory to the UC Berkeley College of Natural Resources. Checks should be made out to the UC Berkeley Foundation and may be mailed to Gift Services, UDAR, 1995 University Avenue, Suite 400, Berkeley, CA 94704-1070. Donations may be made online to the Berkeley Fund for Natural Resources. Please indicate on the check or online memo that the gift is in memory of Professor John Casida. Messages for the family may be sent c/o Dean’s Office, College of Natural Resources, 101 Giannini Hall # 3100, University of California, Berkeley CA 94720-3100. Read this story at its source, UC Berkeley News.